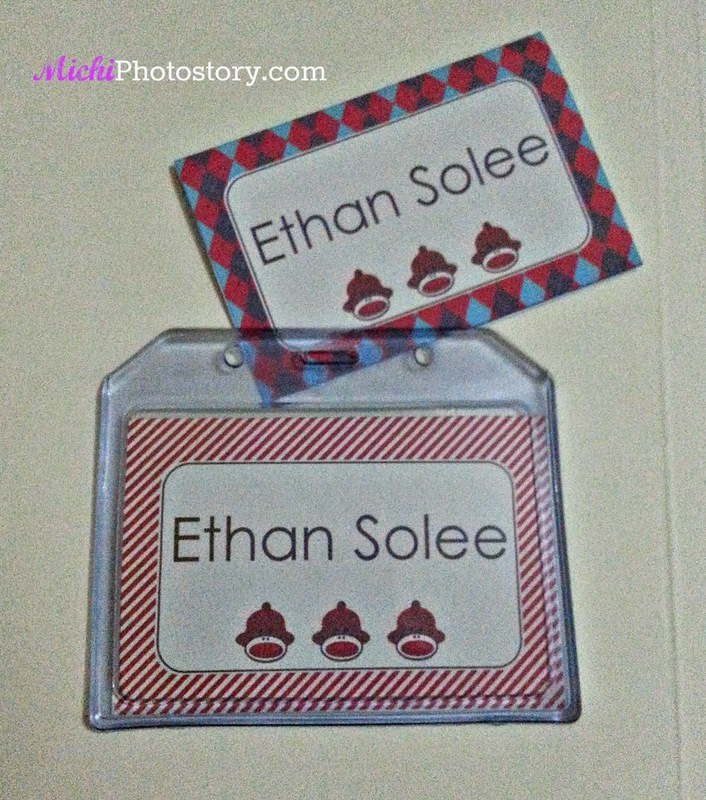 Our family loves Jollibee because we like their food, it is our go-to restaurant if we are in a rush. We are thankful for the 24 hours branch and drive-thru option because we can buy food anytime. 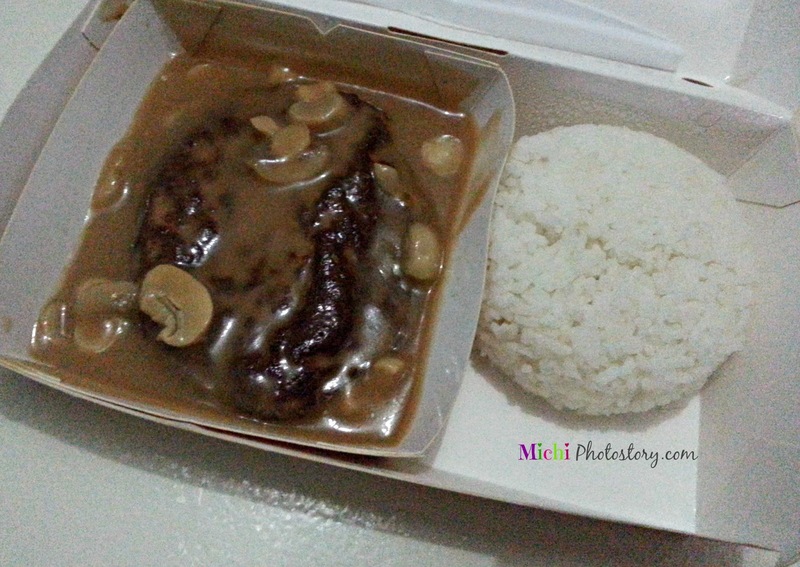 Aside from chicken joy, my son and I love Jollibee Burger Steak. I think the burger steak meal is one of the cheapest meal they offer so I always order that. 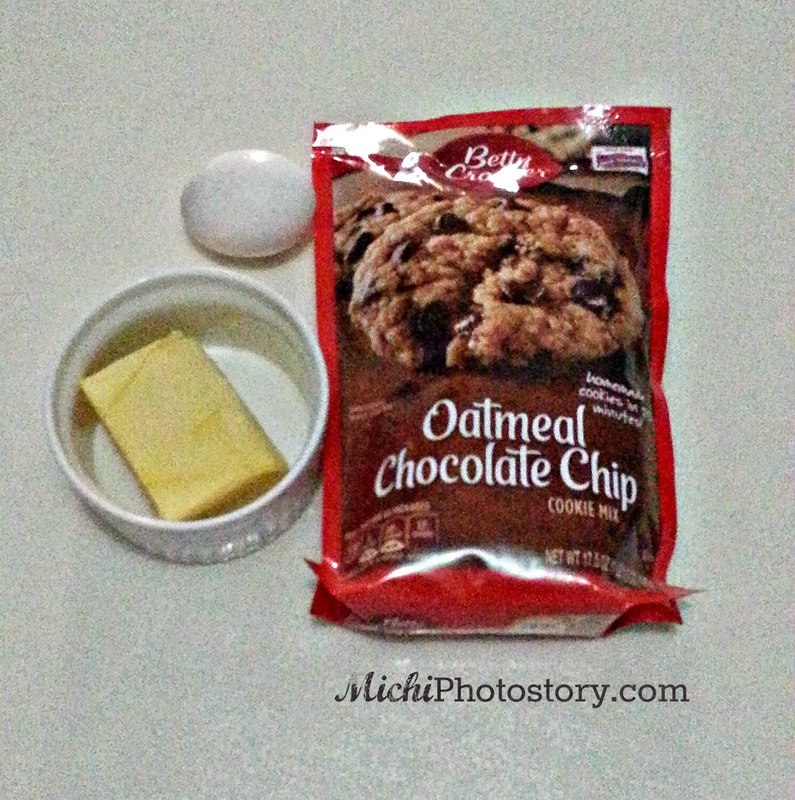 Last month, I asked hubby to buy dinner before he goes home. 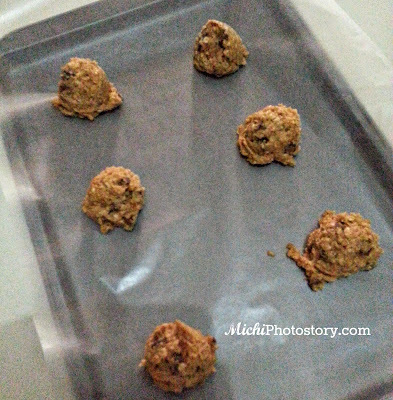 I wasn’t feeling well that time so I did not cook. He suggested Jollibee na lang. I said ok and I said: burger steak na lang sa kin. He dropped my dinner and they (hubby and son) off to watch Avengers Age of Ultron movie. 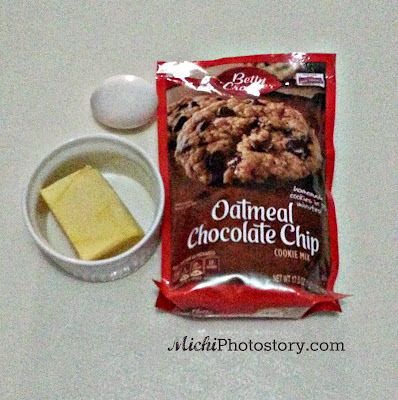 When I opened the pack, I was surprised because the burger steak was so big so I called my husband to ask. 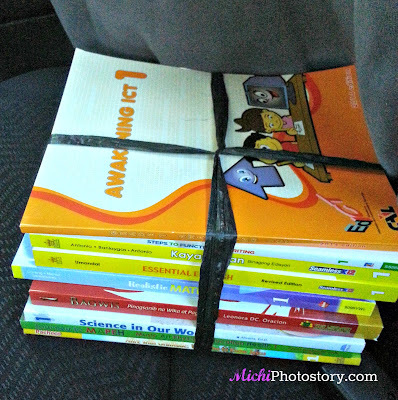 He said, “yan na lang meron, wala yung dati”. Anyway, the big burger steak is 1/3-pound Champ patty. 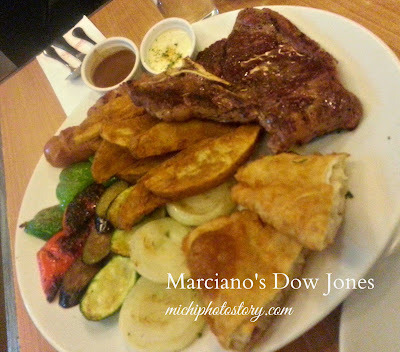 It is really big and thick but I find it dry and the mushroom gravy was not enough. I still prefer the old burger steak which is juicy and just enough for the rice. I did not finish the burger steak, how much more if my son will order this. For sure, marami tira. I think this is good for those who have big appetite and who want to order extra rice. Hehehe! 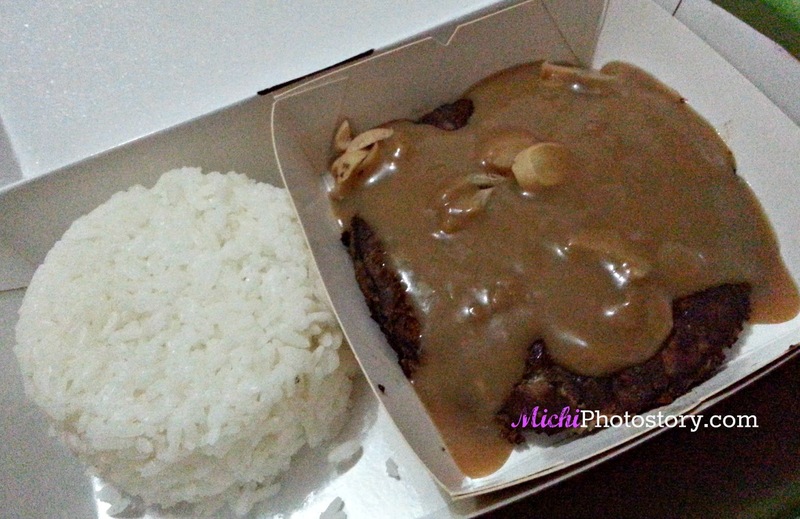 I mentioned before that I did not enjoy my big burger steak because I find it dry but a few months ago my husband told me na masarap naman ha, natikman niya na daw. Knowing him who is not fond of burger steak, as in di daw niya type talaga and he can't really understand me bakit favorite ko daw yun. hahaha! So finally last Saturday, I gave it another try and I was surprised that it is no longer dry and di na bitin ang mushroom sauce. Thank God for the improvement. 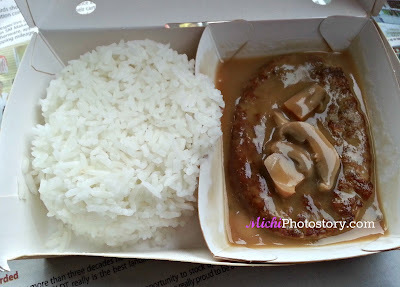 I also saw the commercial yesterday, burger steak meal is back at P50. Yehey! I woke up and my son showed me this piece of paper. Me: Did you spell the word “present”? Ethan: No, Daddy helped me. 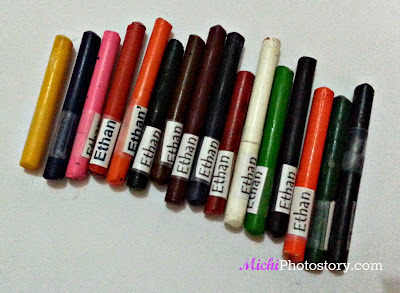 Ethan: Mommy, let’s go down. Ethan: I’ll show you the mystery box. 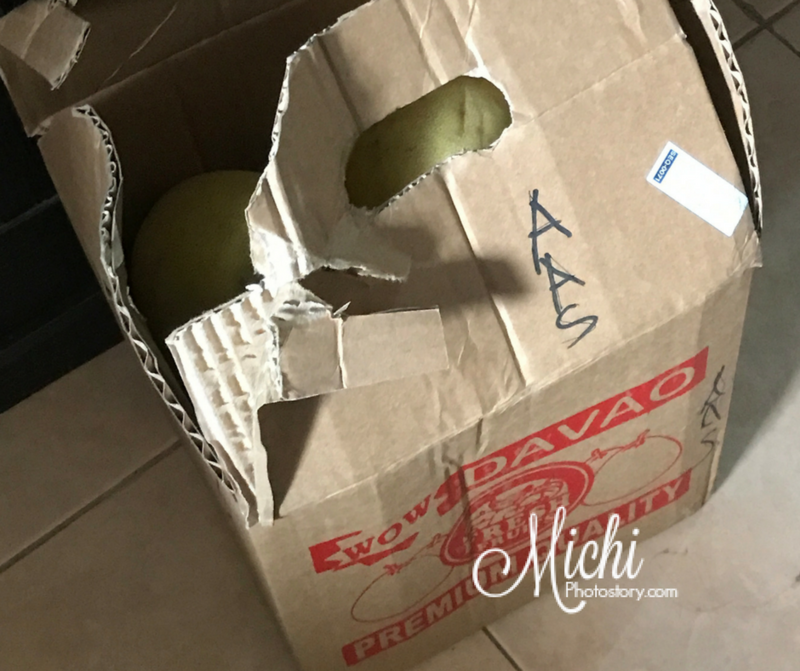 My husband just came home from Davao last night and he bought a box of pomelo. 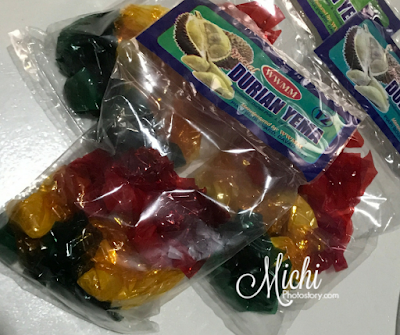 I still remember his first business trip in Davao, he came home with packs of durian candy which we didn’t like, see the story here. I told him to buy pomelo because that’s what I want in Davao and he followed. 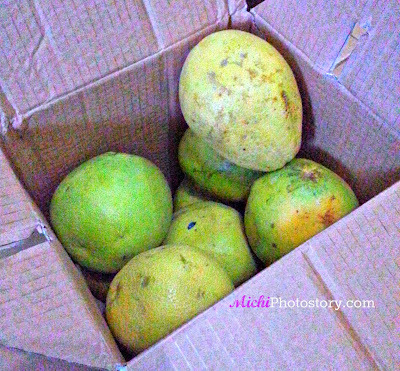 But he bought only few pieces of pomelo at baka mag excess baggage. Hehehe!. As of this writing, we already finished two whole pomelo. 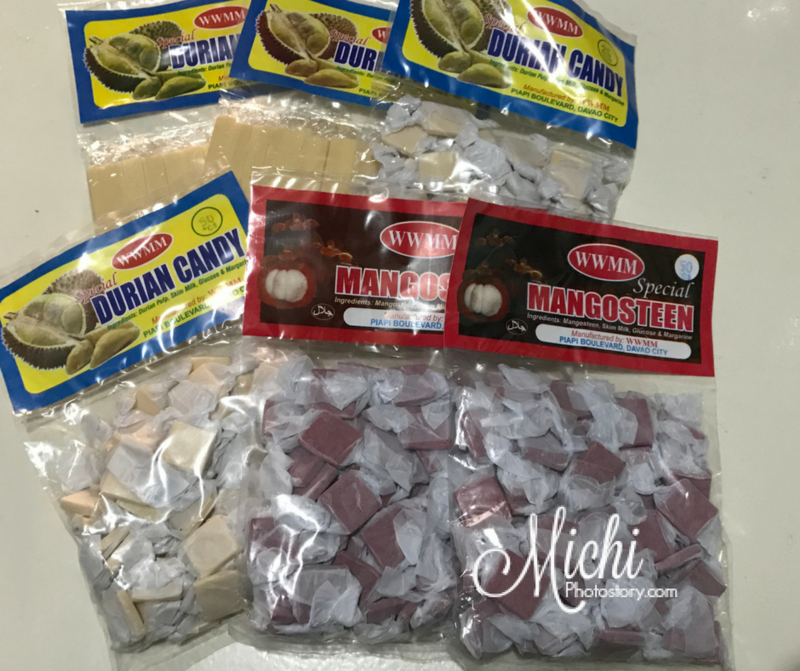 Hmmm, hanggang kelan kaya tatagal sa min. 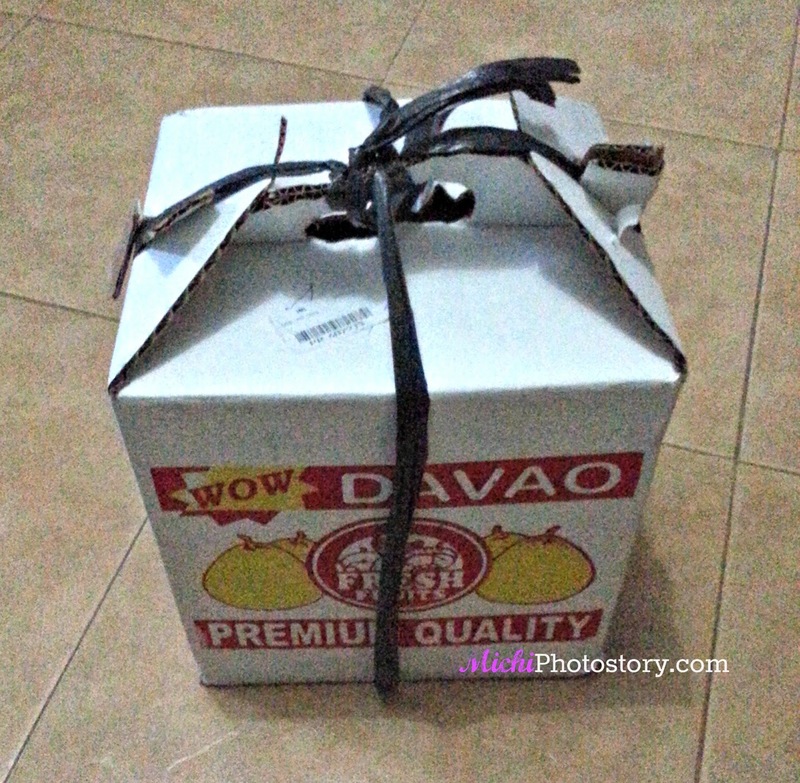 Well, if you are going to Davao don’t forget to buy suha for pasalubong. You can also buy mangosteen and durian candy if you like. When we went to Tienda sa Ayala Malls, we bought pomelo from Davao but the price is P120 per kilogram so we only bought few pieces. 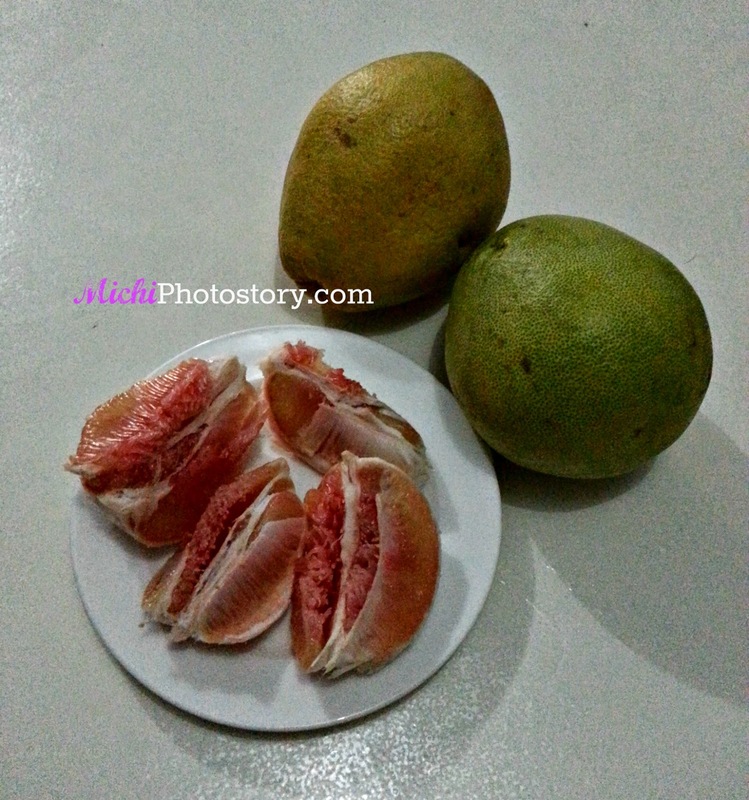 My husband promised that he will buy me pomelo and he did. 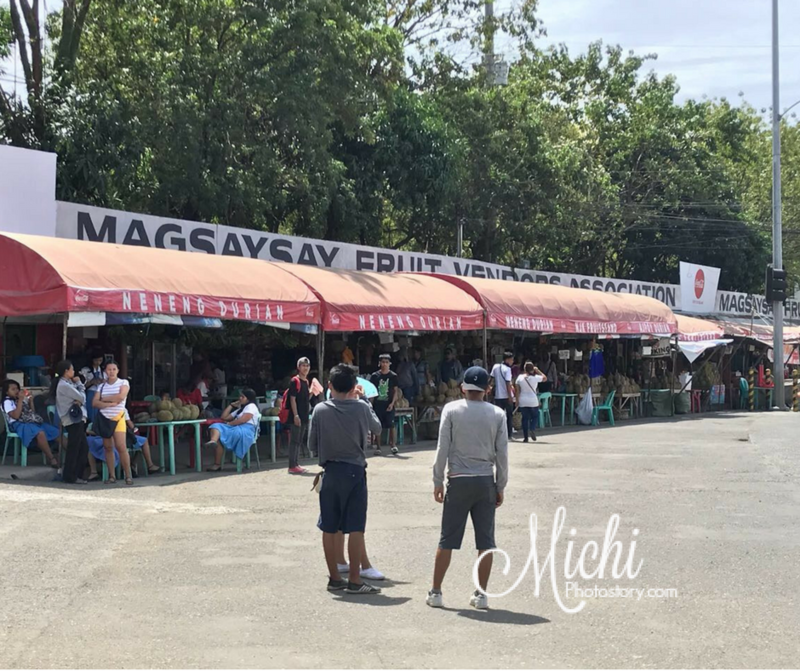 They went to Magsaysay Fruit Vendor Association market. He bought a box of pomelo for me, 8 pieces for P600 only. He also bought some durian candy, durian yema and mangosteen candy. 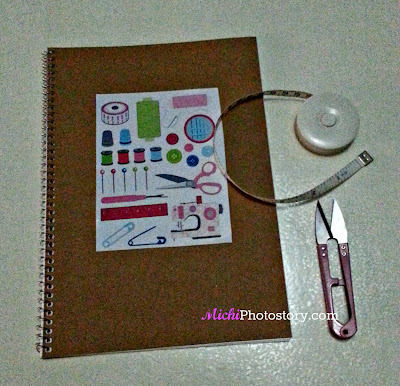 I’ve been too preoccupied these past few months so I stopped practicing sewing. I did not expect that because I planned to do my pinned sewing projects in Pinterest this summer vacation but because of the heat, I feel so lazy to do it. 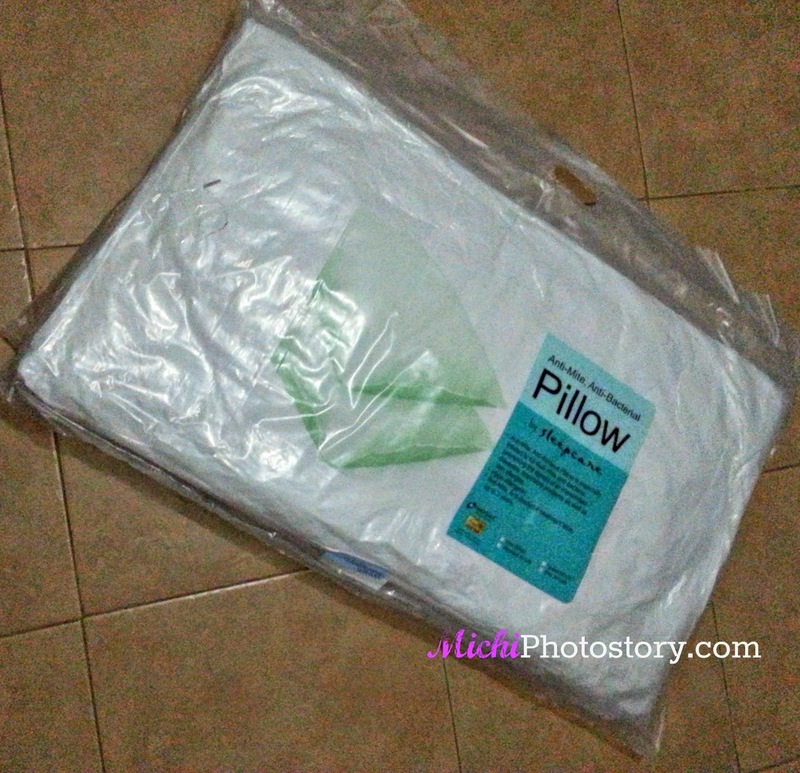 Last Sunday, I push myself to sew pillow case because I bought two king size pillows. I bought these pillows after watching “Home” movie last April 1. We can’t use the pillow because we don’t have king size pillow case 20x36. I tried to check different malls but I can’t find king size pillow cases so I gave up and decided to make my own pillow case. Thank God that I still have enough fabric for that, though the fabric doesn’t matches our bed sheet. According to my cheat sheet, you need 1 1/4 yard of fabric and cut it in 41 x 41 inches. 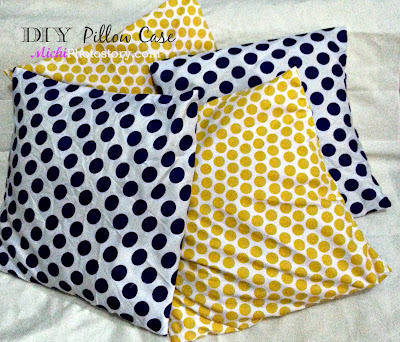 Sewing pillow case is one of the easiest sewing projects for beginners. As in super easy because you just need to sew the top edge, one side raw edge and bottom. You can do this in 10 to 15 minutes. And because I missed my sewing machine, I made throw pillow cases too. This is an easy project too, you just need to measure your pillow, mine is 15 x 15 inches. Then I cut my fabric 16 x 36 inches. I finished 2 king size pillow cases and 4 throw pillow cases and I’m planning to make more pillow cases. I just need to buy fabric that will match our bed sheets. Sorry, no step by step picture and guide at kinacareer ko ang pagtahi. 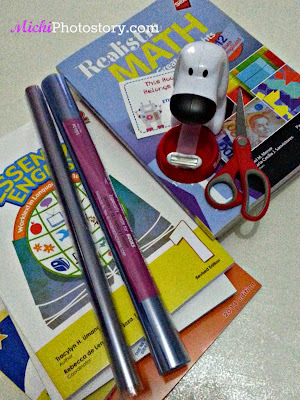 Whether I like it or not, two weeks from now I have to kiss goodbye to summer vacation. 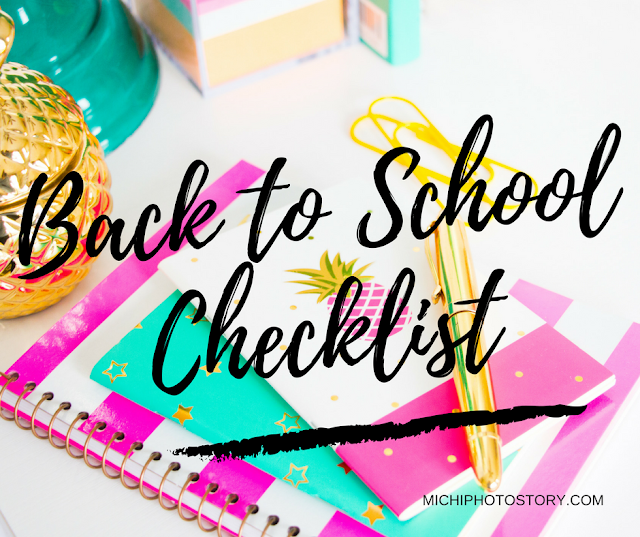 I’ve been busy preparing all my son’s needs this coming school year and my back to school checklist is almost done. Aside from books, one of the major expense in school is bag. I just bought a trolley bag last year and it is still working fine but the problem is, we need a bigger bag because my son will be in grade school. I told my husband last year to buy box type bag so we can reuse it the following year but he doesn’t like the idea because it is too big for my son. Ok fine, siya naman magbayad. Two weeks ago, when my friend told me that she will go to SM, I asked her to check the price and design of Hawk Bag box type bag. She sent me the pictures of the bag. I was shocked when she told me that the price is P4,299.75. Waah! Mahal pa sa bag ko and almost double the price of our school bag last year. Click here to see our old bag.She informed me that there will be less 10% sa weekend sale. After few days of waiting, we took advantage the weekend sale and went to SM. The mall was really packed and box office hit ang pila sa cashier but of course tiniis ko ito para sa discount. Lol. I got the bag at P3,869.77 from P4,299.75. 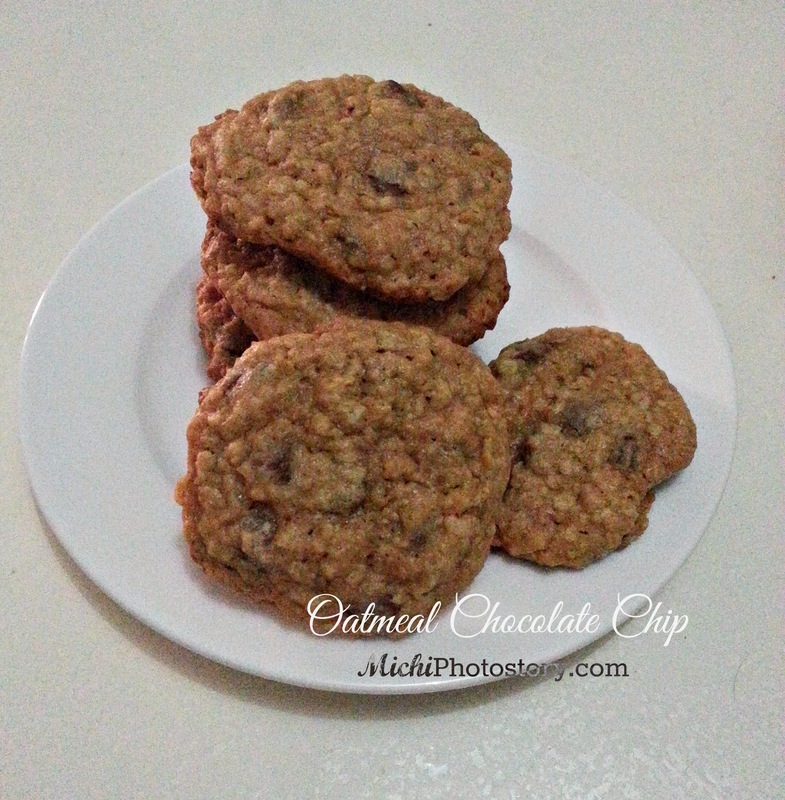 The salesman said, “kung nandito kayo before 12 noon may additional 10% discount. Sayang, 20% discount sana. Hawk bag has been the leading manufacturer of high quality bags and accessories since 1978. That is why,, I like Hawk bag because tried and tested na namin. Ergonomic Design - I like the simple design and color. This box type has six wheels so my son can push or pull the bag in any directions. 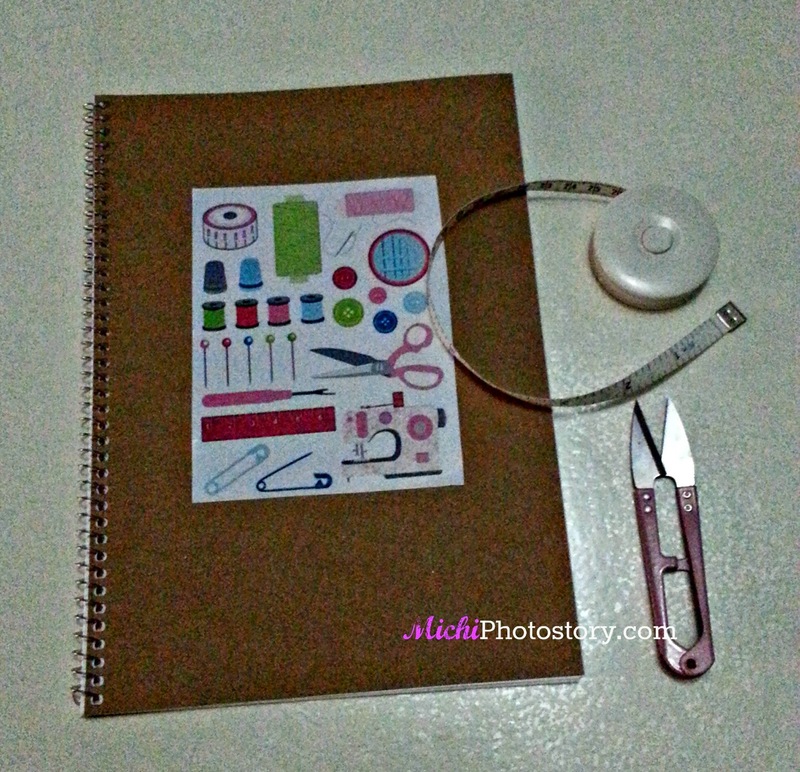 Multiple Organizer - it has a lot of pockets so you can easily organize the school stuff. Pocket in front where you can put the pencil case, scissors, crayons and many more. Pocket at the back is where I put the extra clothes. Pocket inside the bag where I put the whiteboard. Weather Resistance - there’s available cover if it rains. Are you done with your back to school shopping? 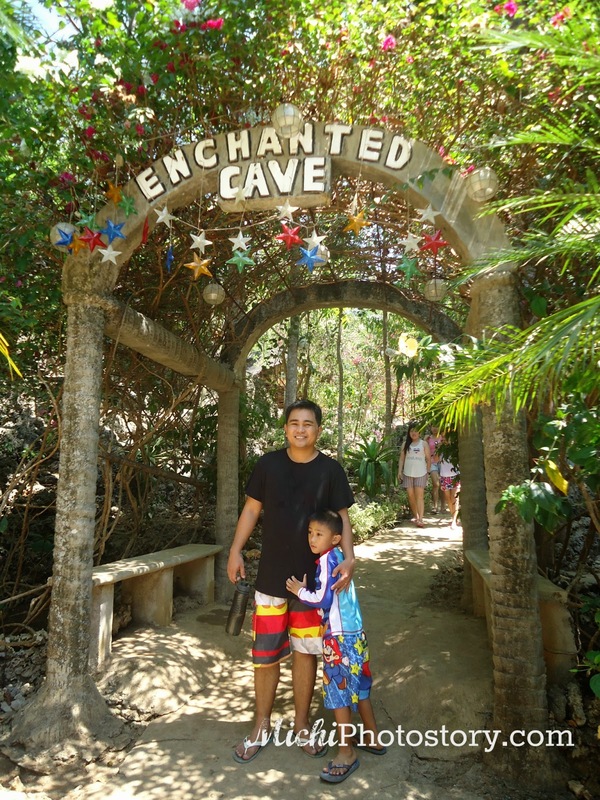 As promised, I will share to you our cave experience in Bolinao, Pangasinan. There are three caves that you can visit in Bolinao such as Cindy’s Cave, Wonderful Cave and Enchanted Cave. But because we have very limited time, we can only visit one cave. We chose the latter because it is the popular cave. 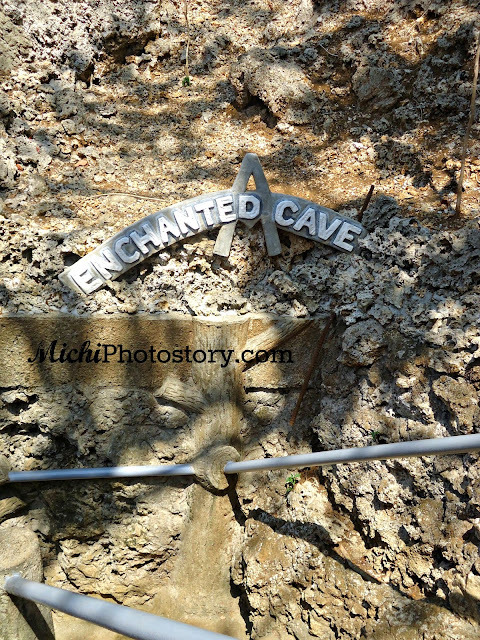 So far, Enchanted Cave is the third cave that I’ve visited in the Philippines. I’ve been to Cambagat Cave which located inside the Panglao Island Nature and Resort Spa and of course the famous Underground River in Puerto Princesa Palawan. It was long weekend so the place was really crowded, good thing that we were able to park immediately. Effective March 2, 2015, the entrance fee is P150 per person. I was thankful that they did not charge my 6 years old son. 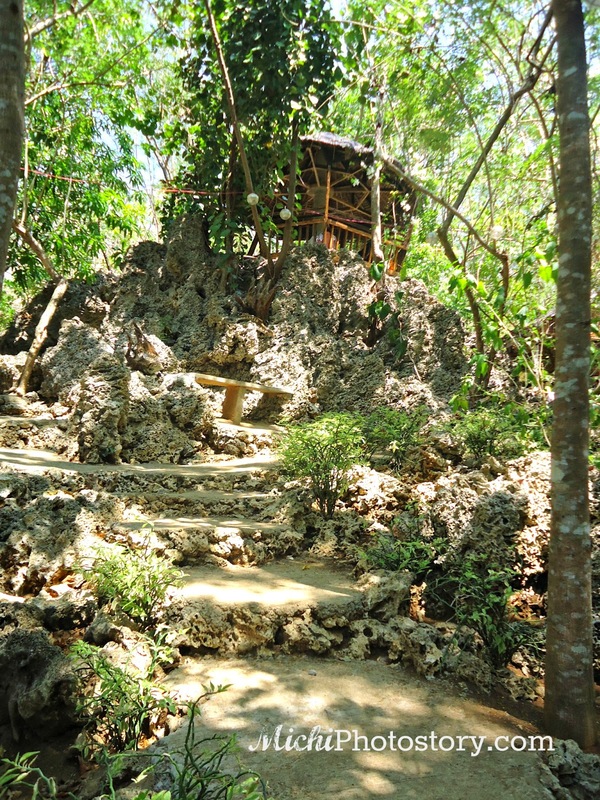 Upon entering the resort, you will notice the coral rocks and fossils clams. I’ve read in one signage, this is a proof that the place was part of the sea 10 million years ago. There are cottages that you can use inside. We immediately look for the cave and as expected, the place was packed. 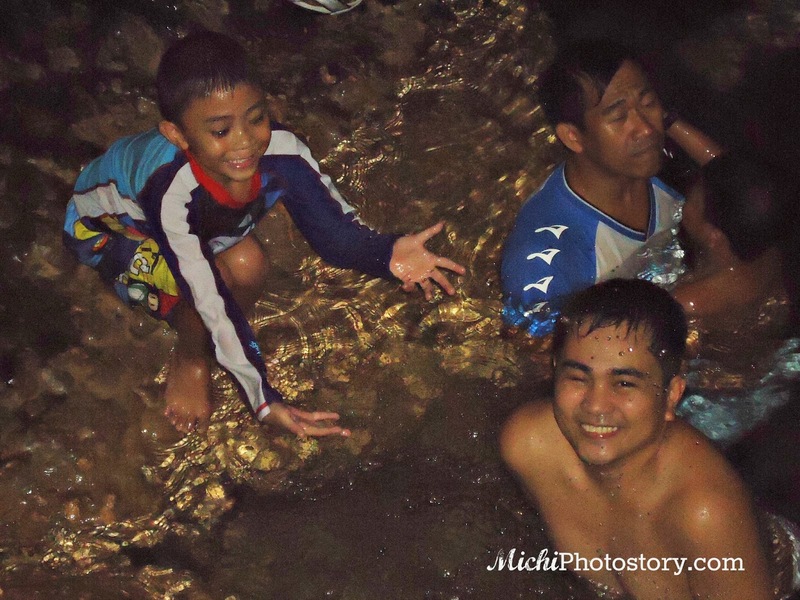 My son was scared at first, it was his first time to swim in a cave. If you are not a good swimmer, you can rent a life jacket. 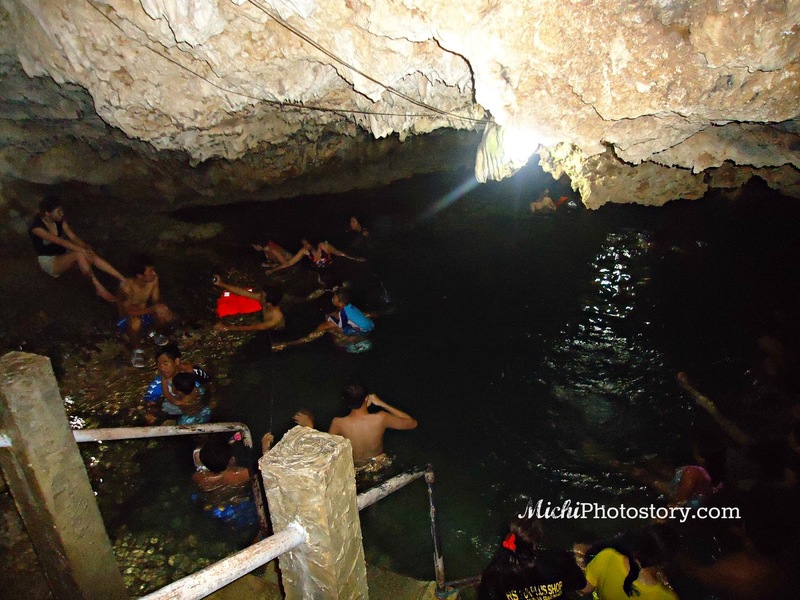 The cave is not that big, I guess it is similar to Cambagat Cave in Bohol. After several minutes inside the cave, we went to kiddie pool so my son can enjoy. 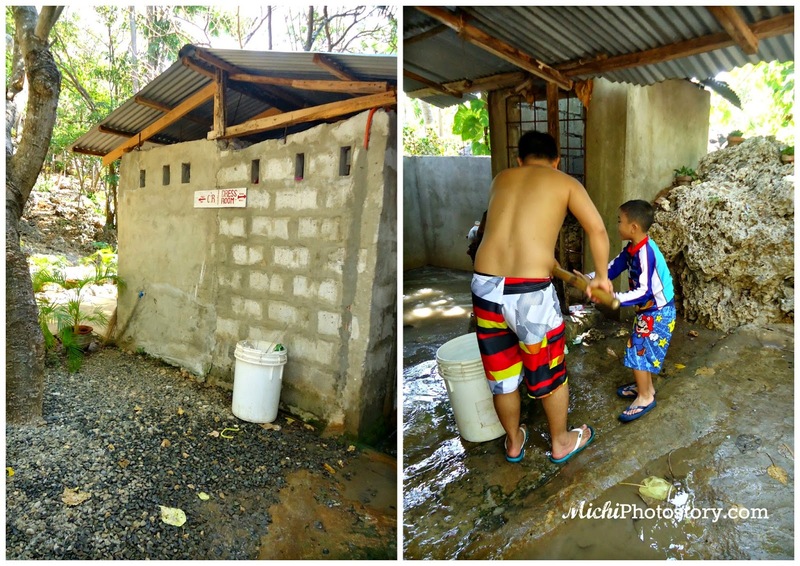 This is the shower area, you need to get water from the deep well pump. The dressing area is beside that shower area too. As much as we want to stay long, we need to go home early. I guess, we only stayed for 1 hour. Di namin nasulit ang P150 entrance. Hehehe! 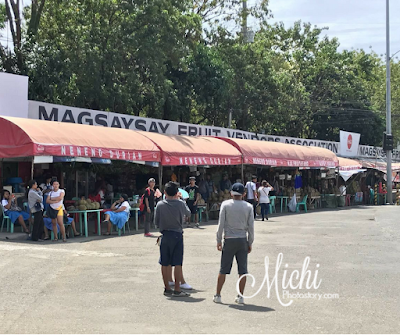 We were in SM Southmall last Saturday, it was past 1PM already and we’re still not having lunch so we look for a restaurant that was not packed. We ended up in Marciano’s, a pizza, pasta, and steak restaurant. 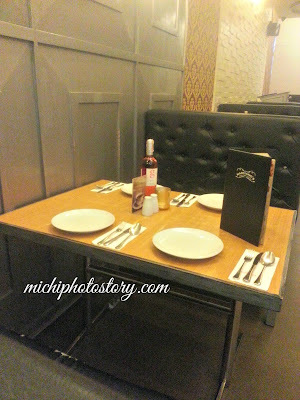 Only one table was occupied so we chose this table where you can see the chefs preparing and cooking your food. Upon seated, the staff gave us the menu and while browsing I realized kaya pala wala gaano guests, the meal was on the pricey side. Hehehe! 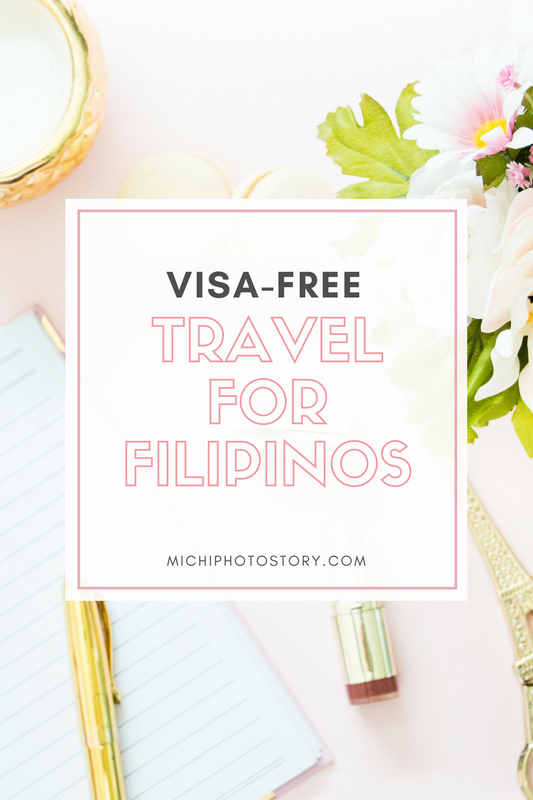 You need P600-700 budget per person. We ordered Dow Jones P1,288 + P100, it includes Italian potato wedges, roasted vegetables, US T-Bone Steak 300g and fist fillet. 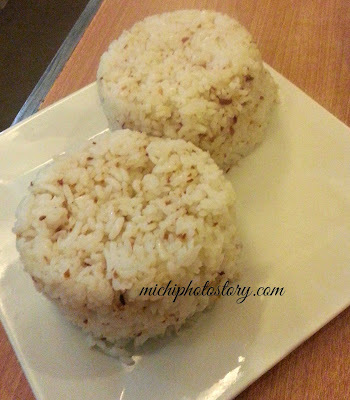 We still ordered two garlic rice at P88 each cup. After few minutes, the staff went to our table and informed us that they don’t have 300g steak, the only available was 400g. Waah! So we have to add P100 for that 100g. The steak was tender and juicy but the taste is bland so you need to dip it in gravy in order to enjoy it. The Italian sausage was good and my son enjoyed the potato wedges + sausages. 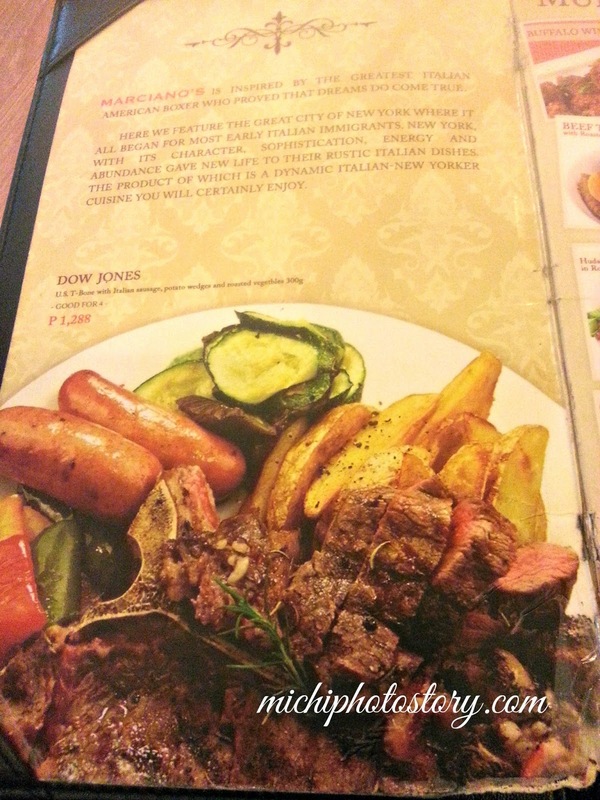 It stated in the menu that the meal is good for four persons, but I think it is only good for 2-3 persons. Bitin ang steak. We’re satisfied with the food but when we received the bill, para na kaming nagbuffet sa total bill namin. Well, charged it to experience. 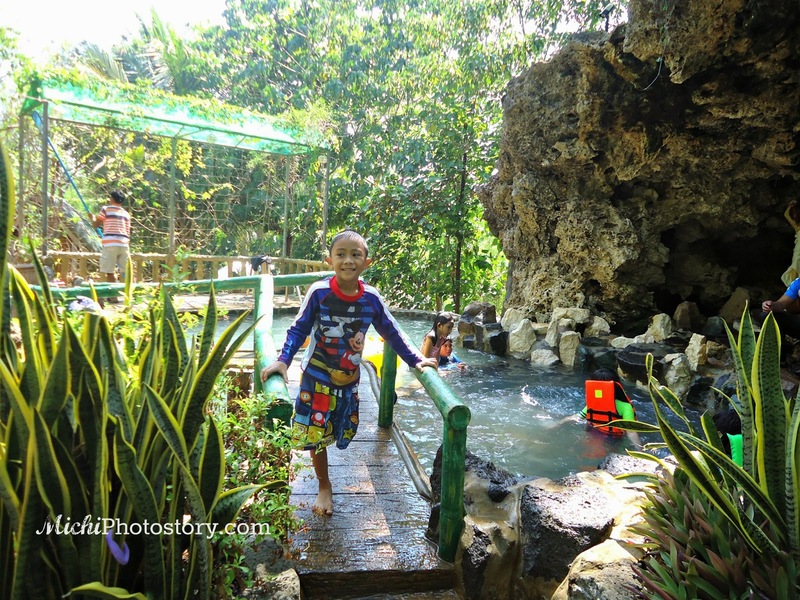 The good thing about DIY Trip is you can visit those places that are not usually included in travel packages. 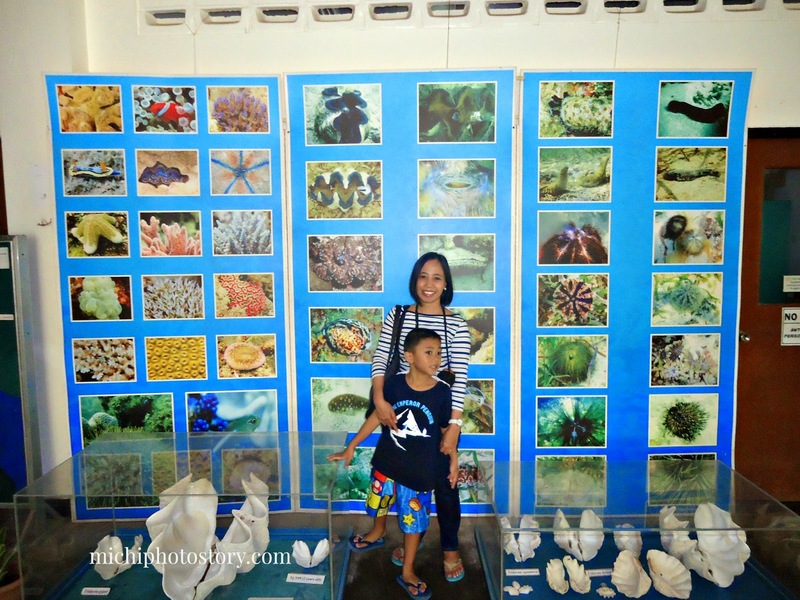 My husband suggested UPMSI Bolinao Marine Laboratory, where you can see giant clams. 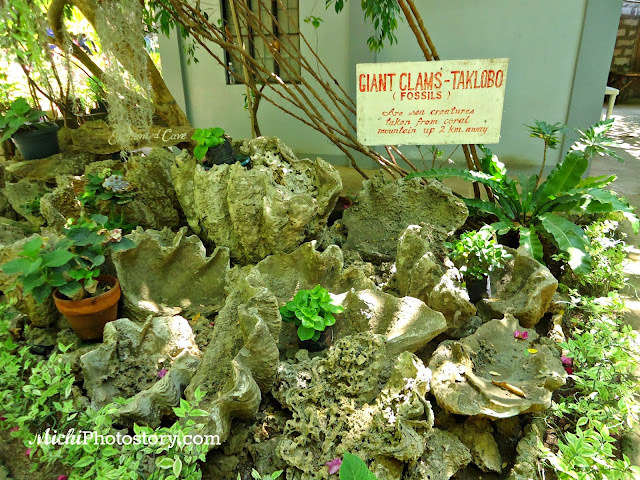 We’ve been to Giant Clam Culture in Camiguin, wayback 2011 and we already saw different clams. 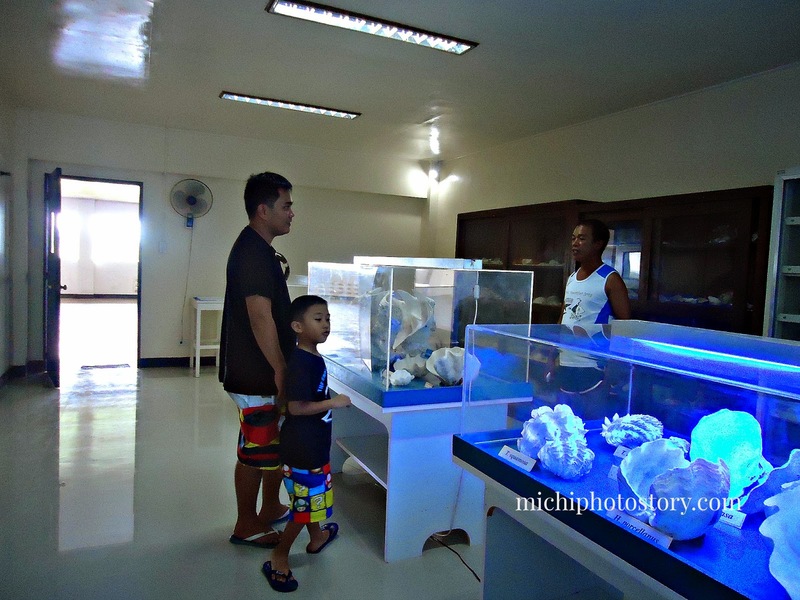 But little did I know that the Bolinao Marine Laboratory is the official marine station of the Marine Science Institute (MSI), University of the Philippines, Diliman. 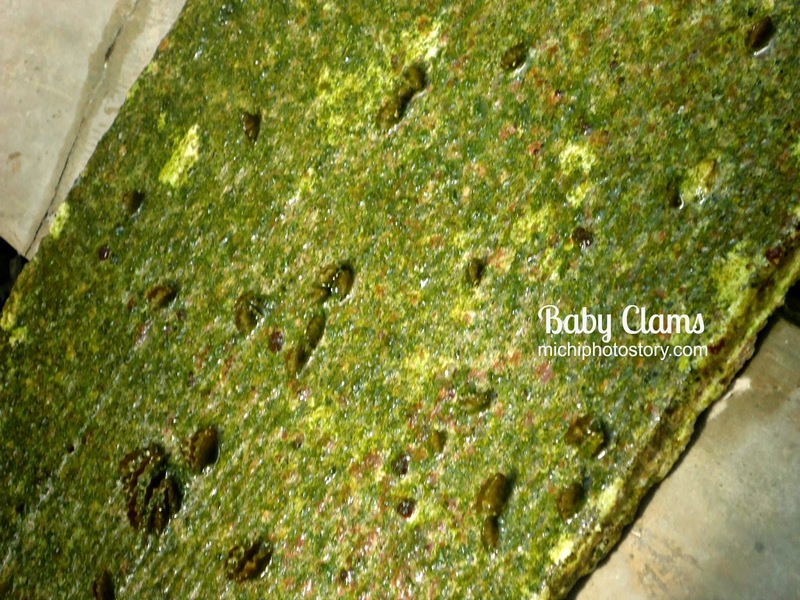 The clams that we’ve seen in Camiguin came from BML. After our visit in St James the Great Parish, off we went to Bolinao Marine Laboratory. I was not sure if the office is open but we still try our luck and I was glad that they accommodated us. We registered and paid P20 per person. The guard informed us, na nagstart na yung tour habol na lang kami. 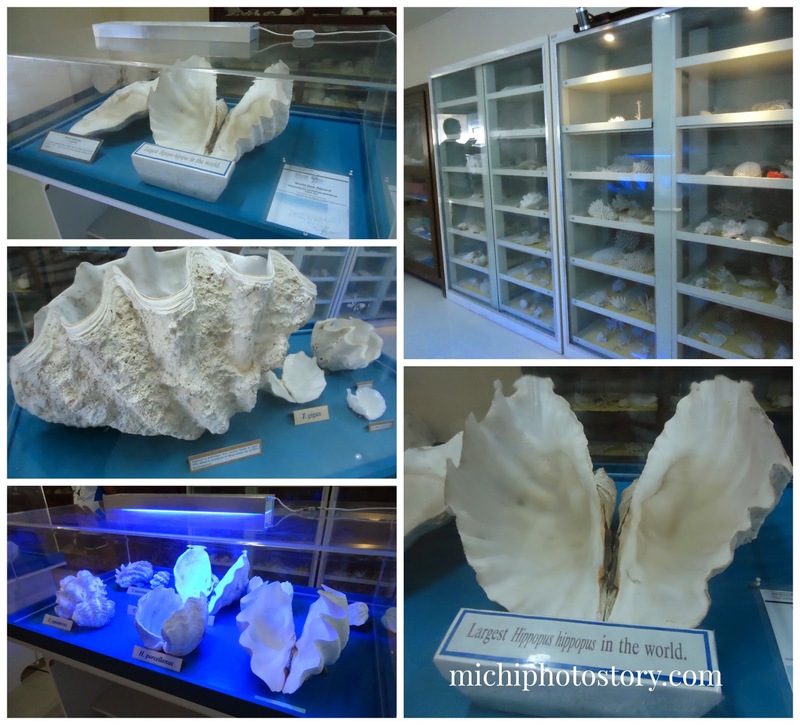 The tour started in Dry Museum where you can see different clam fossils. 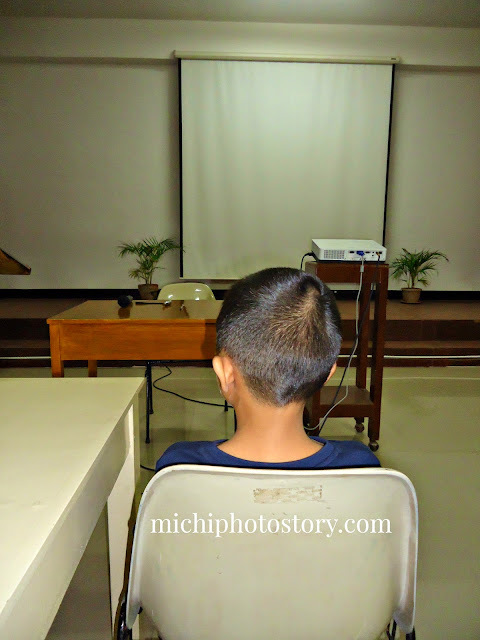 Then we went to AVR where we watched video about the history of BML and what they are doing. 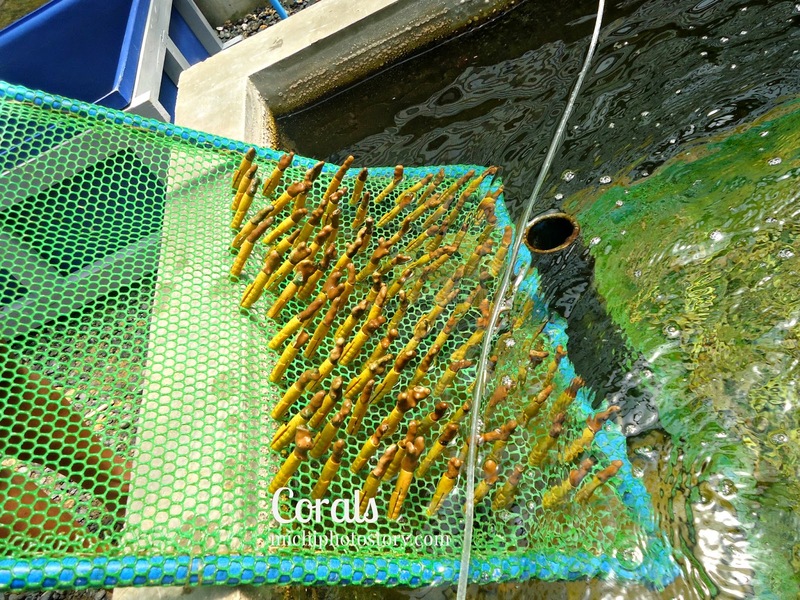 Then we moved to Outdoor Hatchery. This is bigger compared to Giant Clam Culture of Camiguin. We’ve seen the stages on how they culture clams, sea cucumber and even corals, from eggs up to adult stage. 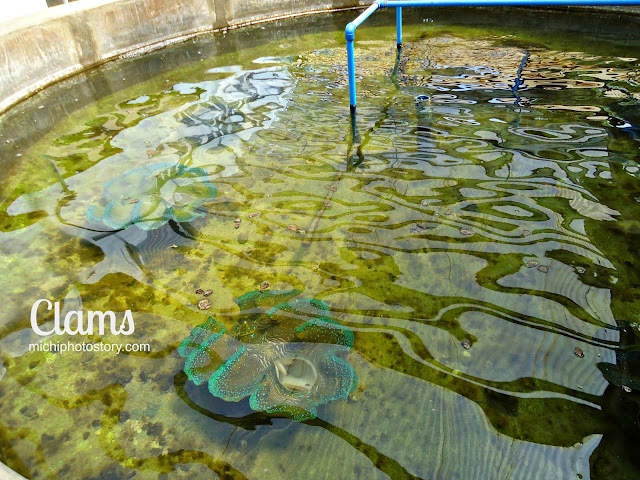 In Camiguin, if you want to see the giant clams in the sea, you can rent a boat for a fee. You can choose for glass boat or regular boat. But I’m not sure if it is available in BML because it was not offered to us. 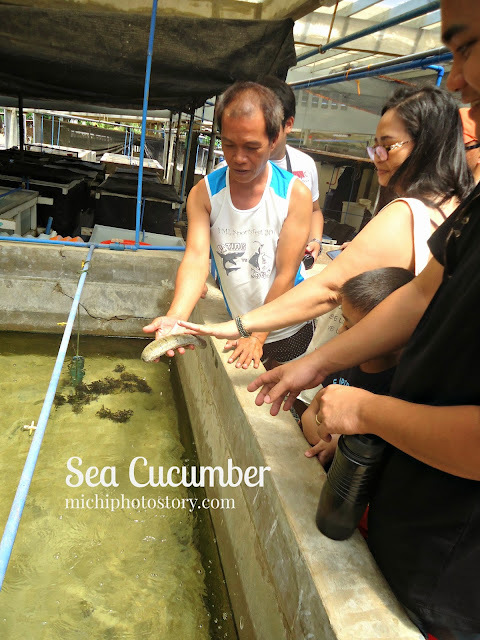 It was a learning experience to know and see clams, sea cucumbers and corals up close. 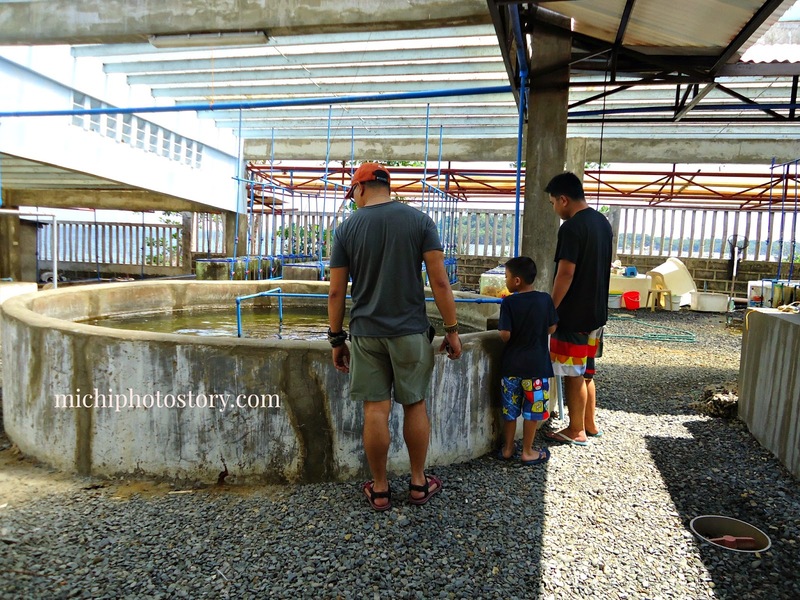 My son even enjoyed the trip, maybe he can’t remember his trip in Camiguin because he was only 2 years old that time. It was Mother’s Day last Sunday and my husband insisted that we go out to celebrate. I was feeling lazy because I know that restaurants are packed and traffic is everywhere. I’m pretty sure that a lot of people will celebrate Mother’s Day. 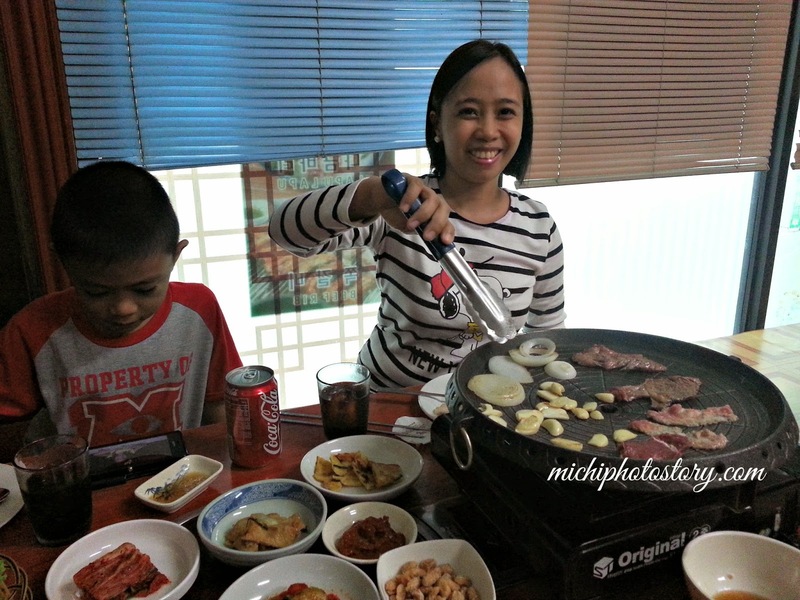 He suggested trying the Korean restaurant in Silang, Cavite. I try to google it but it wasn’t easy because I don’t even know the name of the restaurant. We always passed this on our way to Tagaytay but the name wasn’t visible. Check out this picture. We left at 5PM so we could have early dinner. Upon arrival, I saw the name of the restaurant “Baek Yuen”. My husband checked the menu while we’re waiting in the car. I’m not a fan of Korean food so he make sure that I can eat something. We’ve tried Bulgogi Brothers before so he knew that I will enjoy the grilling experience. We chose this table but there are regular tables and chairs if you don’t want to sit on the floor. You have to remove your shoes or slippers. Upon seated, they gave us the menu. 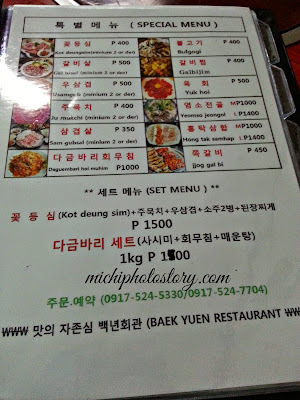 Good thing that the staffs are Filipino so we did not have a hard time to order. But browsing the menu wasn’t easy so we just order the Special Menu P1500. The staff said that the special menu is good for 4 persons but we still ordered it para di na kami mahirapan mamili. Hehehe! When they served the food, we’re really surprised because we don’t know if we can eat everything. Parang nagbuffet na kami sa dami. 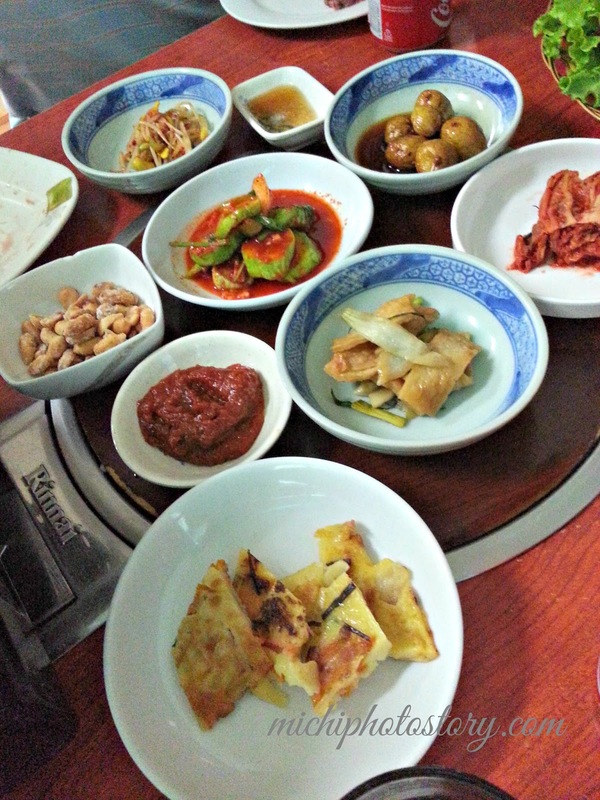 The special menu includes different types of side dishes, 3 types of sliced meat, raw vegetables, rice and softdrinks. They also gave free soup, I just don’t know the name. 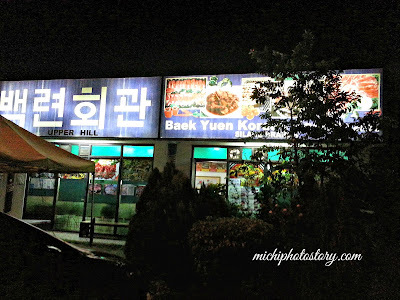 In Bulgogi, the staff was the one who prepared and grilled our food. 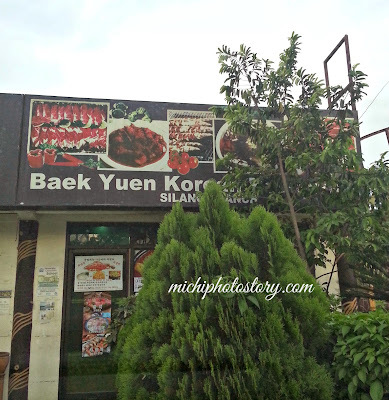 In Baek Yuen, they can grill the food or we grill our own food and we chose the latter. While my husband and I grilled the food, my son was watching You Tube because there was free wifi. I checked the different types of Korean grilled dishes and according to Wikipedia, Samgyeopsal (삼겹살) is unseasoned pork belly, served in the same fashion as galbi. Sometimes cooked on a grill with kimchi together at either side. 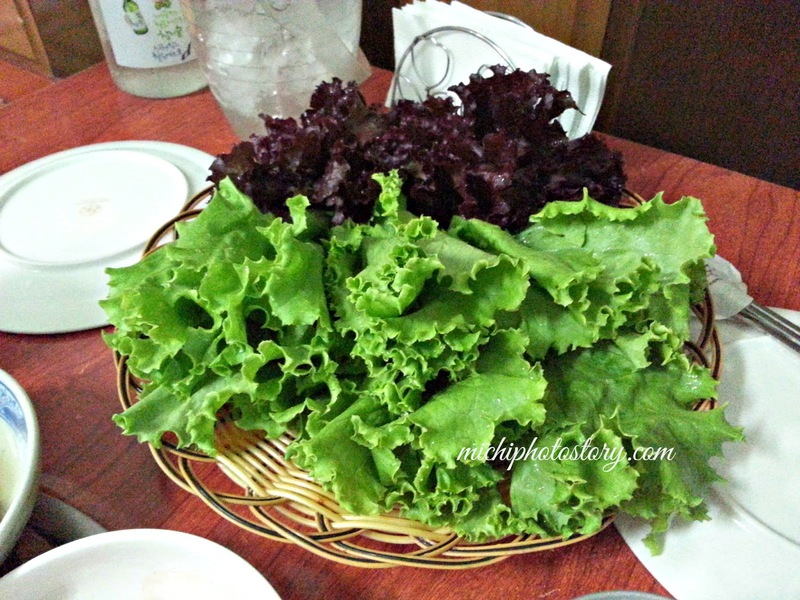 Commonly grilled with garlic and onions, dipped in sesame oil and salt mixture and wrapped with ssamjang in lettuce. Galbi (갈비) is pork or beef ribs, cooked on a metal plate over charcoal in the center of the table. 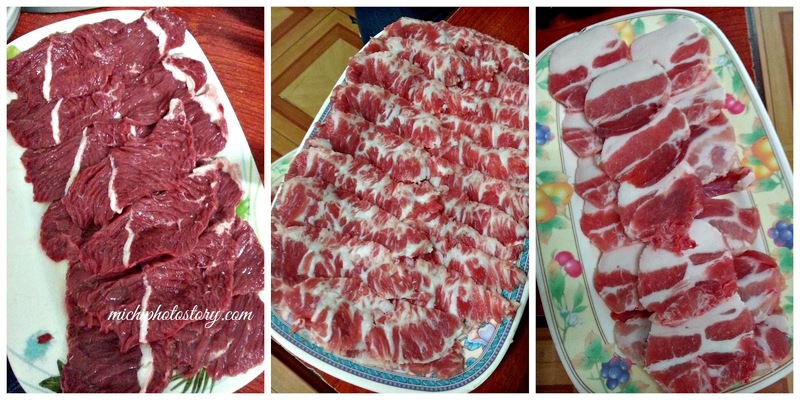 The meat is sliced thicker than bulgogi. It is often called "Korean barbecue" along with bulgogi and can be seasoned or unseasoned. 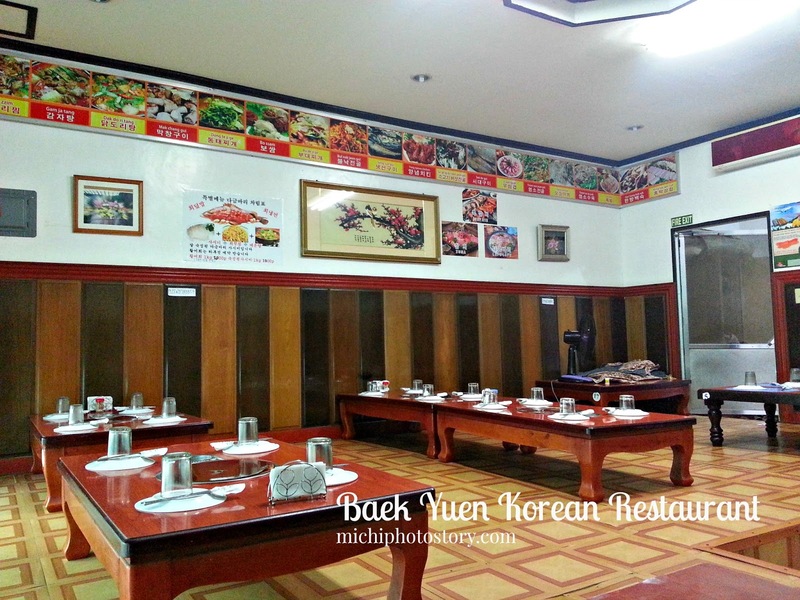 Overall, we were satisfied with the food and service and we really enjoyed our new experience. 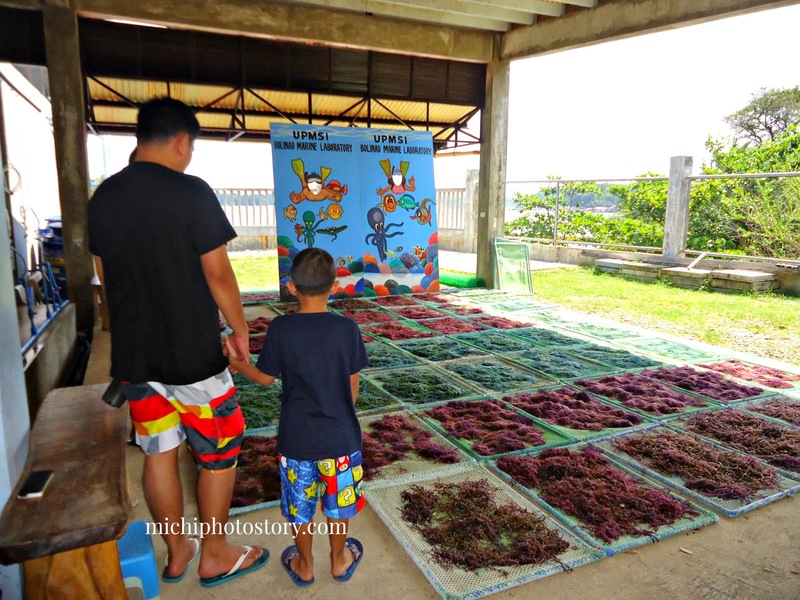 We learned something new about our foodtrip. 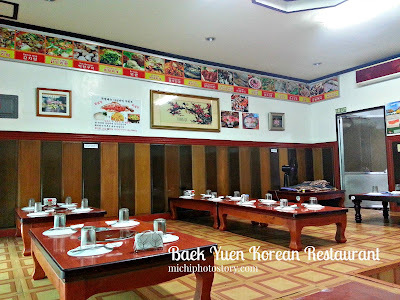 The only downside of this restaurant is, aircon and electric fans are not enough to cool the place. It was a good decision that we had early dinner because when we left, a lot of guests were coming in. 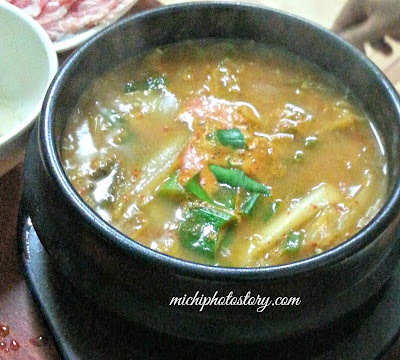 If you are fond of eating Korean food, check All 4 U Unlimited Korean Restaurant.